Cashel Playground Development Committee is seeking a new modern, safe and fit-for-purpose playground for young children and families. Cashel Handball Club has received planning permission to redevelop the old playground on Friar Street, in conjunction with a complete redevelopment of the Handball Alleys. This is very welcome news for the community as the facilities on this site do require an urgent upgrade so as to provide necessary public amenities for both exercise and recreational purposes. 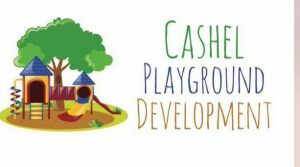 The Cashel Playground Development committee has set a budget of €180,000forthe redevelopment of the playground, which will include the provision of special needs playground equipment and a sensory garden, and which will cater for the needs of all the children in our community. We will be organising local fundraising events to support the development of the playground over the coming months. In addition we anticipate that we will benefit from both County Council and South Tipperary Development (Leader) funding but there is a limit to the amount of public funding available. everybody benefits from community development. The development of the playground will be put to public tender when sufficient finance is in place to support the project. Society benefits as a whole when all children are nurtured and valued from an early age. We look forward to working with all members of the community in Cashel to develop the Friar Street playground and appreciate any and all support available from families and business alike.